"I found the process very comfortable and very easy to talk to Garry." Read our customers' honest and impartial Land Rover Discovery car reviews and ratings to easily find your next car at Motorparks. This Discovery is an amazing vehicle and I love it. It has everything I could want in a car and much more and would recommend it to anyone. What a car. To improve future Land Rovers. Alcantara air cooled seats would benefit all vehicles. I bought the Discovery 4 to tow our caravan. I haven't done so as yet. The Camping & Caravan Club have always given this model top marks. It is early days to write a good review, but so far so good. Salesman, Jerry Oxley, went the extra mile when we had a slight problem but that was resolved easily. We got two year break down cover and assistance, so I feel quite confident. I have had Range Rovers and Land Rovers since 1979, my latest is a 2018 Discovery 5 3.0 HSE Diesel. It's a far cry from my first vehicle, this is a luxury car and whereas my Disco 4 was used off road and for country pursuits, the 5 will unlikely be used in this way which is a shame. In all essence this is as luxurious inside as any other LR in the range and in my mind the nicest and most up to date looking one along with the Discovery Sport. I would recommend this car but go for rubber not rim, larger wheels and lower profile tyres spoil the ride, but I guess each to their own. 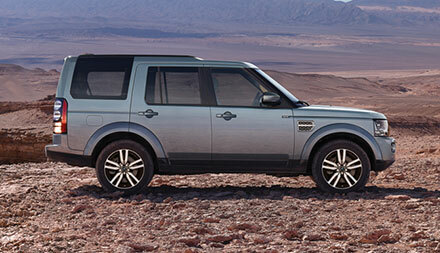 At Grange Land Rover Car Dealers, we guarantee you will get the best price possible on your used Land Rover Discovery. Visit us today at Grange Land Rover Barnet, Grange Land Rover Swindon and Grange Land Rover Welwyn.